What description best fits you as a pair? How fondly do you remember your first kiss? It was perfect and magical! Which common goal do the two of you share? Give us one word to describe your first date. Which part of a wedding vow do you take the most seriously? As a couple, are you more introverted or extroverted? Do you have a special nickname for one another? You are Monster's Inc. couple, Mike and Celia! You and your significant other don't mind spending too much time together; in fact, the two of you are like a well-oiled machine when you work together. You're quite the comical couple and as a pair you aren't necessarily unfamiliar to common ups and downs, but you both prefer to handle a stressful situation on your own before you get your partner mixed up in something unpleasant. Lest we forget that you're in a perpetual state of puppy love, and we can all appreciate a honeymoon stage that never dies. You are Toy Story's Jessie and Buzz! You are one killer couple who certainly knows how to have a good time. Taking life too seriously and sitting on your bottoms all day is definitely not how the two of you roll. 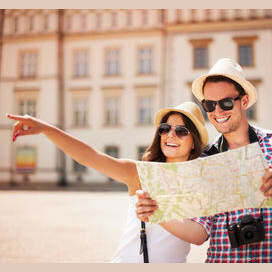 You have the type of relationship where both partners simultaneously seek adventure and a new experience, but being brave and free isn't the only thing you two share in common. You place your loved ones first and foremost and feel secure with each other knowing that you'll keep everyone safe, even if you both have to get your hands dirty once in a while. You and your partner are Lightning and Sally from Cars! You know how to motivate each other properly and understand that the key to a strong relationship is unconditional support. You're both driven people who know how to make the best out of any situation, and while you sometimes find yourselves racing down life's fast lane, you allow one another to hit the emergency break from time to time and cruise slowly. 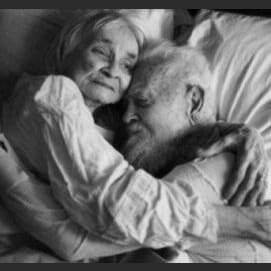 You value your alone time more than anything in this world and never never give up the opportunity to hide away with each other for a bit. 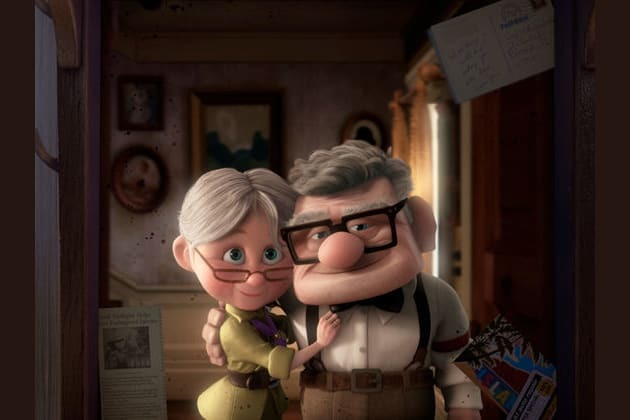 You are Up's Carl and Ellie! You may be the introverted type of couple that takes solace in the comfort and care of each other, but as a couple you are nothing short of boring. Both partners in this match have their own set of quirks and endearing qualities that make you the go to example in personifying a classic, long-term relationship. As a twosome, you're both responsible and keep a positive attitude, but when you're apart you find it hard to be alone. True love at its finest! You are Pixar's Wall-E and Eve! Like these two robotic lovebirds, you and your significant other are two halves of a whole; you even understand the most emotional depths of the other's soul, without the requirement of constant communication and explanation. Learning new things from one another is what keeps your relationship so healthy and strong, and we can't overlook the unquestionable amount of loyalty and consideration you share as a couple. You are A Bug's Life's favorite pair, Flik and Atta! The happiness and protection of your relationship is the number one priority here, and as a couple, you take the well-being and success of your partner seriously. You want to see each other thrive and reach their full potential, while maintaining that healthy balance of honesty and independence between the two of you. To be completely honest, you're a pretty cool couple to be around and a dependable one at that; the type of people you trust with good conversation and sound advice when you need it. Which of the animated sweethearts best represents you and your partner in crime?